It pays to know what the score is – whether you’re watching the game or making an investment on it. We’re not talking about gambling here – not really – but rather about major international investors. Pretty much anything can be tracked in sports these days, from athletic performances to judging decisions to fan reactions, and the data that’s used is a very valuable commodity, as are the companies that provide sports data and related services. Sportradar has already drawn the attention of some key sports figures, and now we can add Canada’s Pension Board investors. 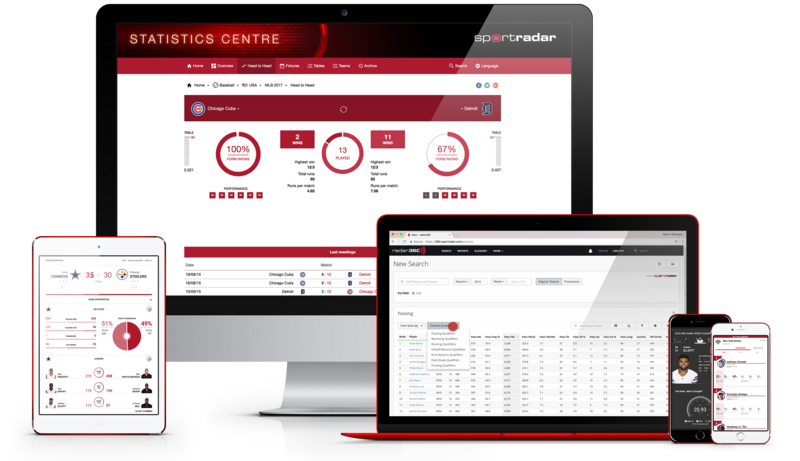 Sportradar is one such company; based in Switzerland, it collects and analyzes tons of sport data and then provides packaged data reports to different audiences — media companies and sports federations, casual consumers and sports fanatics, and, yes, bookmakers. Sportradar is the official data partner of the NBA, NFL, NHL, NASCAR and FIFA, and it distributes betting data for both the NBA and NHL. The company had reported sales of 286 million euros last year, approximately $427 million CDN. So it is a star player in the sports data industry, and that industry presents a huge opportunity for investors. And with changes to gambling laws in the U.S. (perhaps Canada at some point), the opportunities to monetize sports data and game results will only increase. The sports analytics industry, according to Research and Markets analysts, is expected to reach $3.97 billion (USD) over the next five years — other estimates say the reach is much greater, pushing the anticipated size of the market to $4.7 billion in even less time. As an established company in that market, it’s not surprising that Sportradar has already drawn the attention of some key sports figures. Former NBA superstar Michael Jordan, Dallas Mavericks owner Mark Cuban and Washington Capitals and Wizards owner Ted Leonsis are among the existing shareholders, and now we can add the Canada Pension Plan Investment Board (CPPIB). CPPIB, through its wholly owned subsidiary, CPP Investment Board Europe S.à r.l., along with a Silicon Valley investment firm called TCV, will together acquire from other minority holders a significant stake in Sportradar at an announced enterprise value estimated at $3.1 billion CDN. While the value of the investment seems quite large, it is but a fraction of the total investment portfolio that CPPIB manages. Investing as it does in public equities, private equities, real estate, infrastructure and fixed income instruments, the CPP had $356.1 billion (CDN) in its Fund as of March 31, 2018. With this investment, CPPIB must figure it knows Sportradar pretty well; luckily, Sportradar knows Canada. 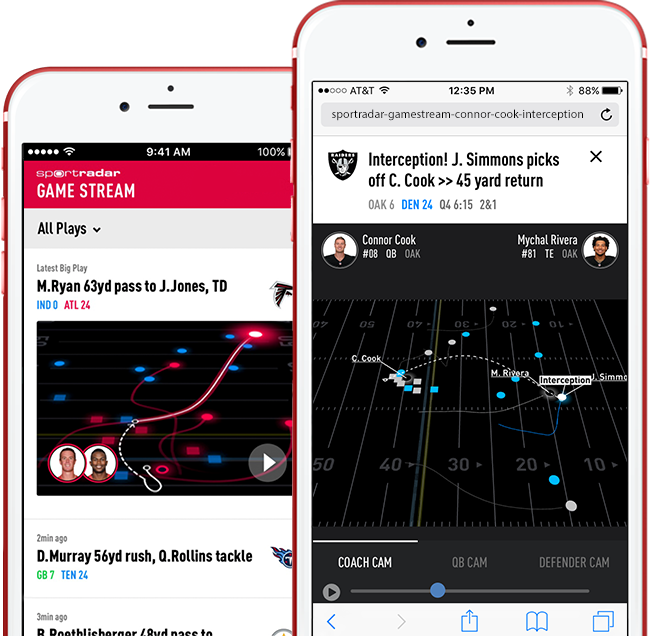 Sports images, editorial content and game stats can be pulled in to major sports apps such as Sportradar. One of its media partners in this country (Sportradar cites more than a thousand partners in over 80 countries) is theScore, once a sports TV network and now a leading provider of mobile sports apps and related services. Companies like theScore take advantage of Sportradar’s real-time updates and continuous, by-the-minute, or other-frequency game feed ‘pulls’. 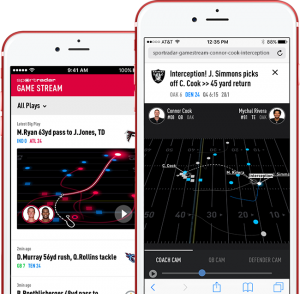 Sports images, editorial content and game statistics can be pulled in as API feeds directly into a digital delivery delivery platform and user-facing screens of any size. The data itself comes in XML or JSON formats. Sportradar has technology partners in Canada as well as clients. Working with a Halifax, N.S.-based technology company called Kinduct, Sportradar put in place new data integration plans for the 2017/18 NBA season. Using Kinduct’s Athlete Management System, Sportradar delivers even more sports data and information about athlete performance and wellness to coaches, athletic clubs and media outlets. Kinduct already works with nearly half the teams in the NHL, having most recently inked a data deal with the Vancouver Canucks. The Canucks’ (Canada’s pension plan investment managers, that is) play with Sportradar, which plays with Kinduct, which plays with the Canucks (the hockey team, of course). They all want to win, and they and many other entities plan to be a big part of how sports content will be consumed in the future. Kinduct works with nearly half the teams in the NHL, having most recently inked a data deal with the Vancouver Canucks.